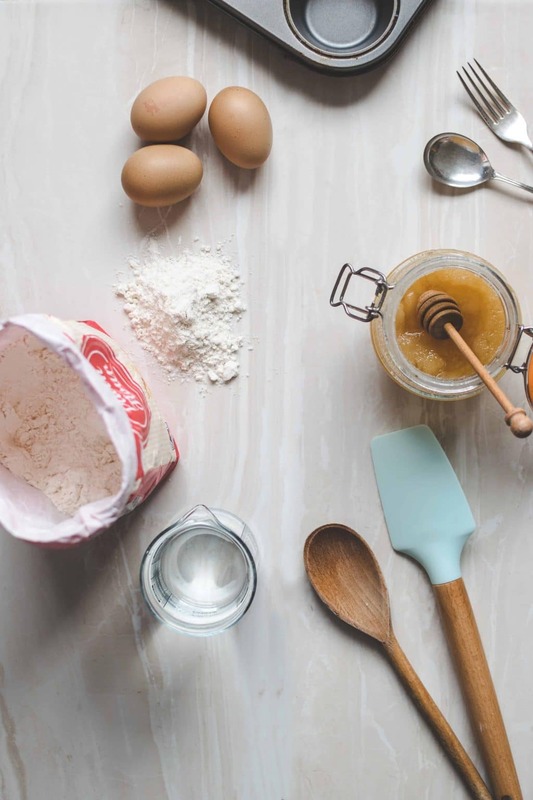 Along with mixing methods, understanding ingredient function is 1 of the most important foundation skills to become a great baker. Once you know how ingredients function & how to get them to do what you want, the baking world is pretty much your oyster. Learn the foundations, and then the real fun can begin! If you can understand how and why an ingredient functions the way it does, you’ll be better able to troubleshoot when a recipe doesn’t quite work out the way you expected. Too dry? You’ll know what to tweak. Too wet? Ditto. As a matter of fact, you’ll be able to figure out how to correct all sorts of issues including “too crumbly,” “too pale,” “didn’t rise enough,” “too dense,” “too bland,” and more just by reading the series of posts below. Honest. Flour Not only is flour one of the main ingredients in almost all baked goods (okay, not cheesecake), but there are many types of flours, some familiar to home bakers and others that might only be seen in specialty and/or commercial kitchens. Still, there are some generalizations about the function of flour in baked goods, so enjoy the read. Note: I do not address gluten free flours in this post. If you are gluten free for medical reasons, I will give you some resources at the end of this page. Fat Fat does so much in baked goods, and there are so many different kinds of fats you can use, that I feel it only fair to warn you that this ingredient function post is Very Very long. In it, you can learn all about how fat functions in cakes and other baked good, how to substitute butter for shortening (and vice versa), how liquid fat functions and a very lot more. Sugar I consider sugar to be of primary importance in making cakes and cookies (along with other pastries). Along with eggs, sugar brings a lot to the party–way more than just sweetness. Click the link to learn about how sugar functions in baked good. Salt While salt does not necessarily have a structural function in cakes and cookies (although it is of paramount imporatance in keeping yeast growth in check in bread baking), salt is absolutely necessary for enhancing flavor. I put it in everything. Everything. Eggs As with sugar, eggs bring a lot to the party when it comes to ingredient function. Arguably the most versatile ingredient in the kitchen, sweet or savory, I tried to cover everything I could think of. So this post is really long as well. I think you will find it helpful though! Want to learn more about an ingredient? Want to know about an ingredient I haven’t covered yet? Leave a comment below and I’ll be sure to add a post or three for you.